MUMBAI (Commodity Online): Copper futures rose on speculation that the US will take measures to boost the economy as the investors eye Fed Chairman Ben Bernanke’s speech later this week at Jackson Hole. 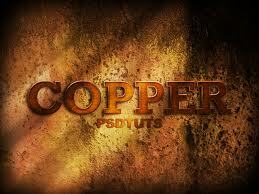 The US is the world’s second largest copper consumer. At the Multi-Commodity Exchange of India (MCX), copper August contract is up by 1.22% as of evening trade on Tuesday whereas at the London Metal Exchange (LME), copper for 3 month delivery rose 1.4%. “The important news this week will be obviously Bernanke’s speech in Jackson Hole. That’s what people are waiting for”, said Andrey Kryuchenkov, an analyst at VTB Capital in London, Bloomberg reported. The Fed chairman had earlier hinted that that the US might embark on a second round of asset purchases. The Fed had earlier bought $600 billion worth treasuries during November to June. Import data from China, the world’s largest Copper consumer, has also supported the market. Customs data showed that imports of scrap and refined copper had risen in July with scrap imports at their highest level since December 2010. MCX Copper August: Dips to 396 to hold for 405/409 now, a direct fall below 394 could dent this bullish view.